Mystery Shopping Certification – Is it Necessary? When you begin to look around and consider mystery shopping as a way to make money on the side or as a full-time income – one of the first things you will learn from seasoned mystery shoppers, schedulers and mystery shopping providers is – “Don’t pay to become a mystery shopper”. Then you begin to join social media groups and on-line forums and you start to hear about becoming a certified mystery shopper. Hmmm… is that a scam or is it something real? When you learn one of the certification processes is sponsored by none other than the professional organization of the industry – MSPA Americas you may ask, isn’t this a contradiction? We stand by the common practice that you should never pay to become a mystery shopper for any organization. All credible mystery shopping companies allow you into their database of shoppers free of charge. And most mystery shoppers will assign you to shops whether you have been certified or not. But … it becomes apparent which shoppers take the time to care about their ‘job’ and which do not. Certifications provide you with an opportunity to refine your skill set. A chance to ‘up your game’. And most importantly, a chance to show you are serious about being a mystery shopper. Certifications are the ‘college level’ courses of the mystery shopping industry. There is no pre-requisite. You just need to be willing and able to learn. 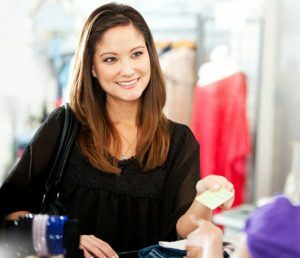 While most people believe mystery shopping is where you act like a typical customer – it really is so much more. Honing your ability to observe, interact, act out scenarios, and write an effective report is necessary. Necessary if you want to become a go-to mystery shopper for all the companies for which you work. Mystery shopping isn’t automatically intuitive. Having some guidance on the ‘how to’s’ of mystery shopping allows you to perform you shops with more confidence and greater ease. Introductory courses take you through the basics of mystery shopping. What to expect when you are out on assignment, and what is expected by you of the mystery shopping company. Want to become a pro in a particular industry? Casual and fine dining restaurant shops require a keen ability to observe many items at one time. Certification as a mystery shopper in this industry will provide you with tips and tools to use while conducting your shops. Banking and financial institution mystery shops can be intimidating to some mystery shoppers. You may think to conduct one of these shops you need to have a certain amount of money to discuss or already have an account with a bank. Taking a course where you will be informed about expectations on these shops will boost your confidence to be able to sit across the desk from any banking manager. No matter how much money you do or do not have in the bank. Certification for video shopping is darn near a requirement. There are so many ‘moving parts’ to a video shop. You really need to know how to handle cameras, audio recordings, where to hide it, how to upload and so much more. So few shoppers video shop – and those who are certified will tell you they are very, very busy. Who wouldn’t like that boost to their income? There truly is an ‘art’ to being an excellent mystery shopper. With opportunities to learn that will help you grow in skill level, confidence, and attraction to mystery shopping companies, why wouldn’t you want to be certified? Courses are available on line through MSPA Americas. Video courses and some others are taught at their annual ShopperFest Conference. Note that there are other organizations offering training which you can find on line. Do your due diligence to find out if these certifications will be recognized by mystery shopping companies. Are you a certified mystery shopper? Please share below and tell others how this has benefited you. If you liked this article and want more information to help you become a better mystery shopper join the Market Viewpoint community by clicking here. Click here if you want to join Market Viewpoint’s team of mystery shoppers. Do you know someone who would be a good mystery shopper? Please forward this post to them! You’ll be sharing the wealth and spreading happiness! And, after all, isn’t that what we all want?